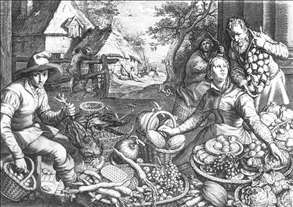 Netherlandish engraver, draughtsman and painter. 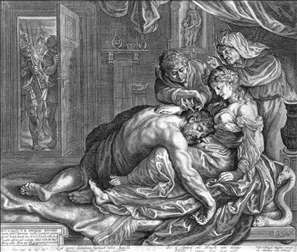 When the pre-eminent engraver Hendrick Goltzius married Matham s mother in 1579, he took Jacob on as an apprentice. Matham worked more closely with Goltzius than others of his circle, engraving many of the master s drawings and paintings and closely imitating his teacher s manner. Despite Matham s prolific output, his artistic personality does not emerge clearly, and the oeuvres of both engravers contain unsigned works, which deserve reattribution. See more details about "Samson and Delilah"